Shot mid-morning on a clear sunny day. 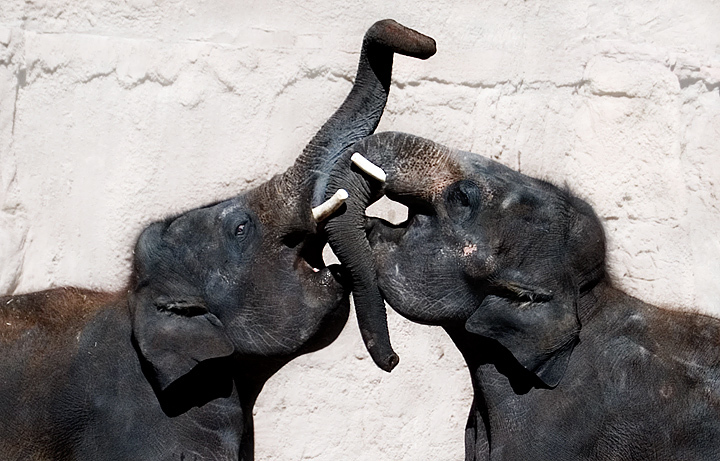 These elephants were having a good time together. Lovely...very original shot. Like that b&w effect. Message edited by author 2006-10-08 06:29:39.
wow, this is amazing. I wish I were able to catch moments such as these. A good moment to get captured on your camera. The clash is impressive and the colour is good. tough scene to expose for in what I assume is probably mid-day light...very nice detail here. I like this alot. A great moment. Alot of action. Simple background. Just perfect! Primitive. Nice colours in the pachyderms. Proudly hosted by Sargasso Networks. Current Server Time: 04/22/2019 02:33:39 AM EDT.